James Buchanan (1791-1868), America’s 15th president, was in office from 1857 to 1861. During his tenure, seven Southern states seceded from the Union and the nation teetered on the brink of civil war. A Pennsylvania native, Buchanan began his political career in his home state’s legislature and went on to serve in both houses of the U.S. Congress; he later became a foreign diplomat and U.S. secretary of state. Buchanan, a Democrat who was morally opposed to slavery but believed it was protected by the U.S. Constitution, was elected to the White House in 1856. 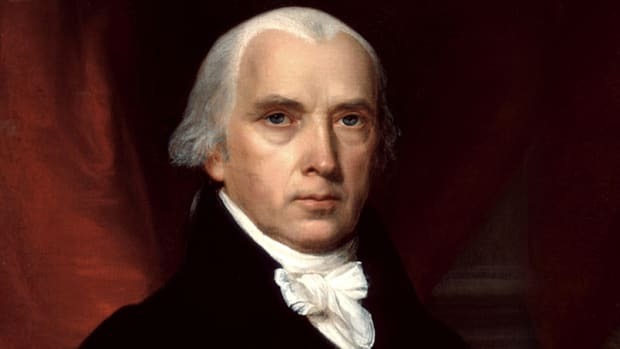 As president, he tried to maintain peace between pro-slavery and anti-slavery factions in the government, but tensions only escalated. In 1860, after Abraham Lincoln (1809-1865) was elected to succeed Buchanan, South Carolina seceded and the Confederacy was soon established. In April 1861, a month after Buchanan left office, the American Civil War (1861-1865) began. James Buchanan was born on April 23, 1791, in Cove Gap, Pennsylvania, to James Buchanan Sr. (1761-1833), a merchant who had emigrated from Ireland, and Elizabeth Speer Buchanan (1767-1833). The younger Buchanan graduated from Dickinson College in Carlisle, Pennsylvania, and then studied law. After being admitted to the bar in 1812, he opened a successful practice in Lancaster, Pennsylvania. Did you know? 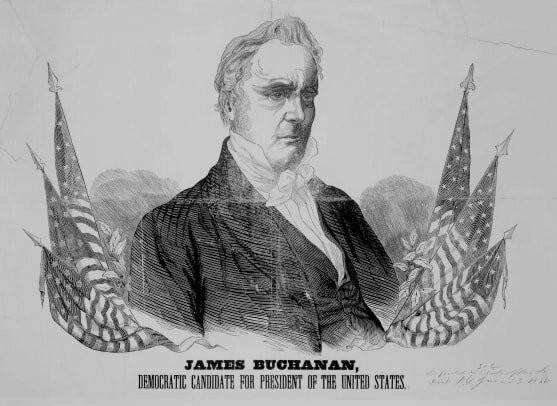 James Buchanan was nicknamed "Old Buck" and "Ten-Cent Jimmy." The latter was given to him by the Republicans in the presidential campaign of 1856 after Buchanan said 10 cents was fair daily pay for manual laborers. A member of the Federalist Party, Buchanan began his political career by serving in the Pennsylvania legislature from 1814 to 1816. 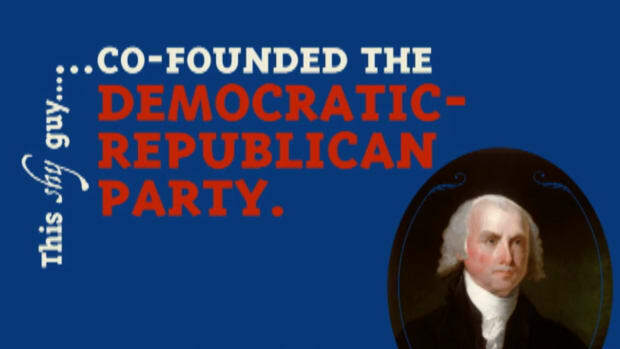 In 1820, he was elected to the U.S. House of Representatives, where he remained for the next decade. In Congress, Buchanan aligned himself with the Democrats as the Federalist Party dissolved. After Democrat Andrew Jackson (1767-1845) was elected president in 1828, he appointed Buchanan the U.S. ambassador to Russia in 1831. The following year, Buchanan negotiated a trade and maritime agreement with Russia. Buchanan is the only U.S. president who never married. 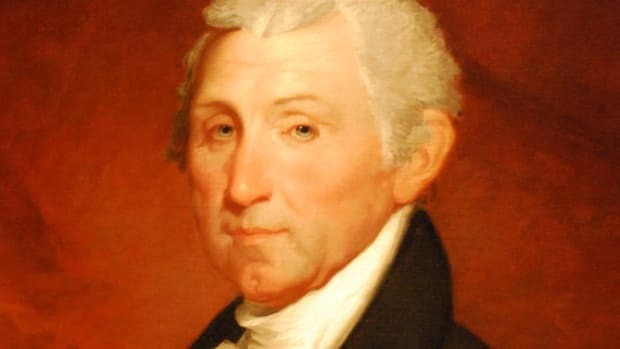 In 1819, he was engaged to Ann Coleman (1796-1819), the daughter of a wealthy Pennsylvania manufacturer; however, the wedding was called off that same year. When Coleman died unexpectedly soon afterward, rumors circulated that her death had been a suicide. During Buchanan’s time in the White House, his niece, Harriet Lane (1830-1903), assumed the social duties of first lady and became a popular figure. In 1834, after returning from Europe the previous year, James Buchanan was elected to represent his home state in the U.S. Senate. 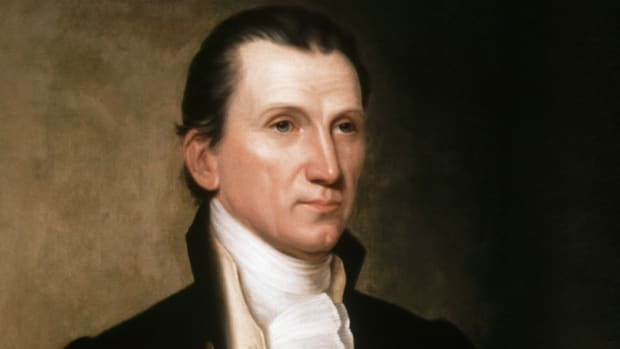 He resigned from the Senate in 1845, when President James Polk (1795-1849) named him U.S. secretary of state. During Buchanan’s tenure in this post, which lasted until 1849, the nation’s territory grew by more than one-third and extended across the continent for the first time. The United States annexed Texas, acquired California and much of the present-day Southwest during the Mexican-American War and secured what would become the Oregon Territory after settling a boundary dispute with Great Britain. The question of whether to extend slavery to America’s newly acquired territories, as well as the moral legitimacy of slavery as an institution, became increasingly divisive issues across the United States. 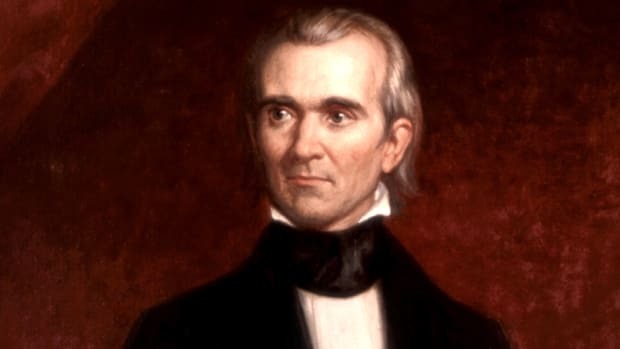 In 1846, Buchanan sided with Southerners who successfully blocked the Wilmot Proviso, which proposed banning slavery in any territory acquired from Mexico in the Mexican-American War. Buchanan later supported the Compromise of 1850, a series of congressional acts that admitted California as a free state but let the new western territories decide whether they would allow slavery before applying for statehood, a concept that became known as popular sovereignty. In 1853, President Franklin Pierce (1804-1869) appointed Buchanan as minister to Great Britain. In this role, Buchanan helped draft the 1854 Ostend Manifesto, a plan for America to acquire Cuba from Spain. Although never acted upon, the proposal generated protests from anti-slavery Northerners and others in the United States who feared Cuba would become a slave state. In 1854, President Pierce signed the Kansas-Nebraska Act, which created two new territories and allowed settlers to determine whether they would enter the Union as free states or slave states. Pierce’s support for the Kansas-Nebraska Act hurt him politically, and in 1856 the Democrats opted not to re-nominate him. Instead, they chose James Buchanan, who was living abroad at the time of the controversial bill’s signing and had taken no position on it. In the general election, Buchanan maintained that slavery was an issue to be decided by individual states and territories, while his Republican challenger, John Fremont (1813-1890), an explorer and U.S. senator from California, asserted that the federal government should ban slavery in all U.S. territories. Buchanan received 174 electoral votes, while Fremont, the first-ever Republican presidential candidate (the party was established in 1854), garnered 114 votes. 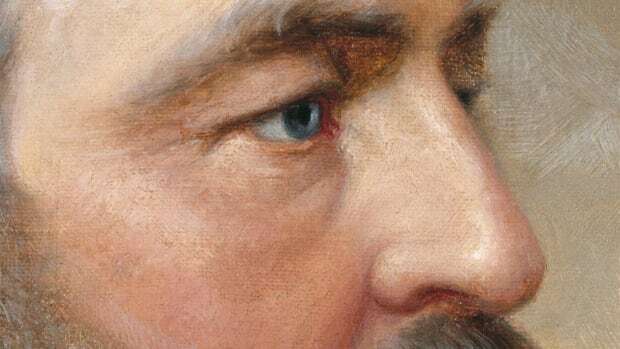 Former president Millard Fillmore (1800-1874) of the American “Know-Nothing” Party, who ran an anti-immigration campaign that did not focus on slavery, earned eight votes. The popular vote was closer, with Buchanan capturing a little more than 45 percent of the total ballots cast. Buchanan’s vice president was John Breckinridge (1821-1875), a U.S. congressman from Kentucky. Breckinridge was 35 when elected, making him the youngest vice president in U.S. history. 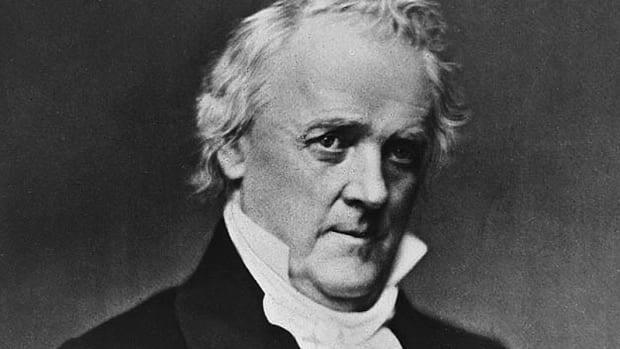 Once in office, James Buchanan appointed a cabinet composed of Northerners and Southerners and hoped to keep peace between the country’s pro-slavery and anti-slavery factions. Instead, the national debate over slavery only intensified, and the new president was seen by many people as being more sympathetic to Southern interests. Two days after he was sworn in, the U.S. Supreme Court handed down its Dred Scott decision, which said the federal government had no power to regulate slavery in the territories and denied African Americans the rights of U.S. citizens. Buchanan hoped the ruling would resolve America’s slavery issue, and he reportedly pressured a Northern justice to vote with the Southern majority in the case. Far from settling the issue, the Dred Scott decision, which Southerners applauded and Northerners protested, led to increased divisiveness. Buchanan further rankled Northerners by supporting the Lecompton Constitution, which would have allowed Kansas to become a slave state. (It was later voted down, and Kansas joined the Union as a free state in 1861.) In 1858, relations between Congress and the president were further strained when the Republicans won a plurality in Congress and blocked much of Buchanan’s agenda. He, in turn, vetoed Republican legislation. In October 1859, abolitionist John Brown (1800-1859) tried unsuccessfully to stage a massive slave uprising by raiding the federal arsenal at Harpers Ferry, Virginia (now West Virginia). After Brown was convicted of treason and hanged, hostilities between the North and South continued to escalate. 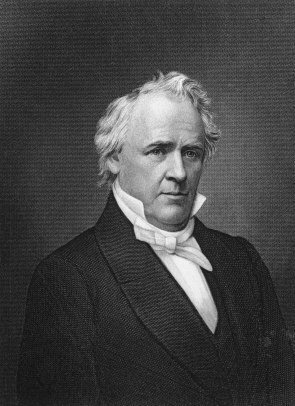 Upholding a promise he had made in his inaugural address, James Buchanan did not seek reelection in 1860. At their national convention, the Democrats were split over their choice for a nominee, with Northern Democrats selecting Stephen Douglas (1813-1861) of Illinois and Southern Democrats picking Vice President Breckinridge. 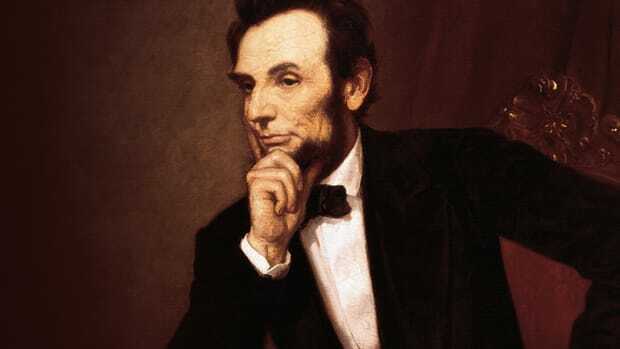 The Republicans chose Abraham Lincoln, and the Constitutional Union Party nominated John Bell (1796-1869). Lincoln won 180 electoral votes (and a little less than 40 percent of the popular vote), while his challengers garnered a combined electoral 123 votes. On December 20, 1860, in response to Lincoln’s victory, South Carolina seceded from the Union. By the time of his inauguration on March 4, 1861, six more states–Mississippi, Florida, Alabama, Georgia, Louisiana and Texas–had also seceded and formed the Confederate States of America. 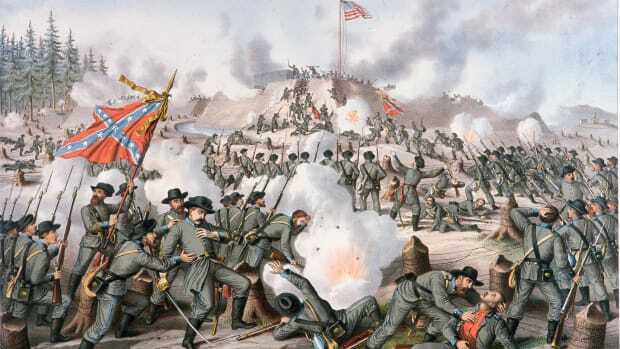 On April 12, 1861, a little over a month after Buchanan left office and retired to Wheatland, Confederate forces fired on Fort Sumter in South Carolina and the Civil War began. Buchanan supported Lincoln’s policies and the Union during the war. 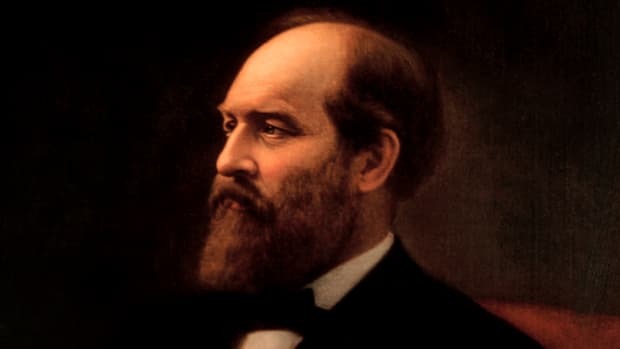 In 1866, the former president published a memoir, “Mr. 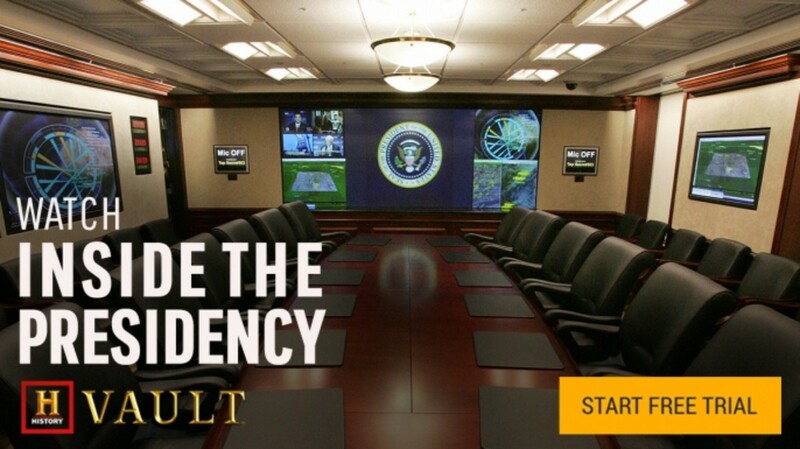 Buchanan’s Administration on the Eve of Rebellion,” in which he defended his administration. He died on June 1, 1868, at age 77, and was buried at Woodward Hill Cemetery in Lancaster. 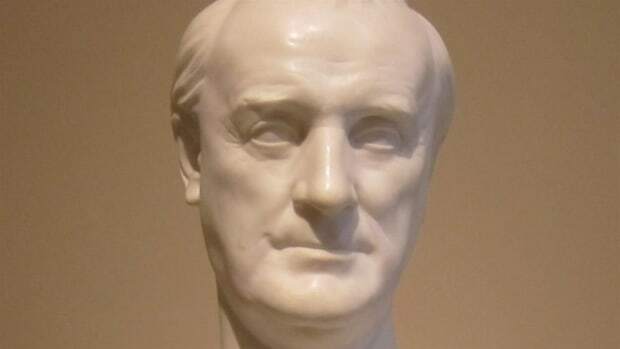 Why is James Buchanan considered one of America’s worst presidents?